“Whisper” series portable flow meters with low pressure drop are the perfect calibration instruments for mass and volumetric flow rates. Low pressure drop minimizes system impact, enabling flow measurement at near-atmospheric pressures or when there is little available system pressure. Accurate. Calibrate flows with NIST-traceable accuracy for a variety of gases down to 1/200th of full scale, or define your own gas composition with COMPOSER™. Efficient. As soon as you power the MWB on, it’s ready to display live flow, pressure and temperature readings in your choice of engineering units. Tough. MWB series portable flow meters are designed to be carried and can withstand drops if they should occur. Alicat’s MWB series is suitable for use with non-corrosive gases. Rapidly calibrate across multiple ranges and gases without carrying a computer. NIST-traceable high-accuracy calibration makes your portable a transfer standard. 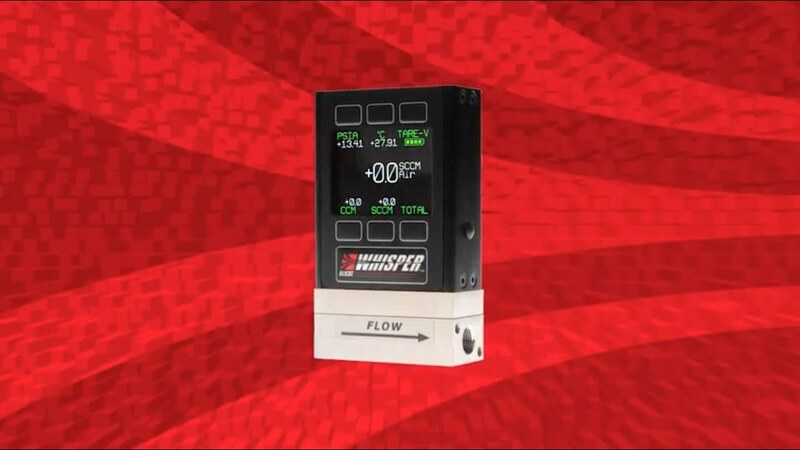 Whisper-series low pressure drop enables non-intrusive volumetric flow calibration. See the full app note here.